Home General Welcome to Rachel’s Creative Adventures! 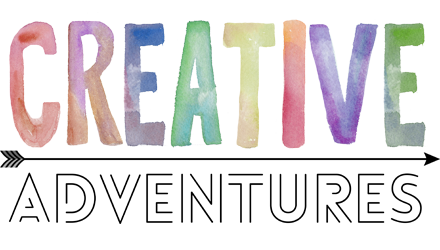 Welcome to Creative Adventures! My name’s Rachel, and I’m a no-kidding craft junkie. Like, for real. I think I have a problem. So, who am I? I’m a software product manager by day, and I own a side business baking and decorating cakes, cupcakes and cookies from my home in the Washington DC metro area. I’m wife to the most amazingly patient and supporting (perhaps enabling?) husband on the face of the planet, and I’m “mom” to four fur-babies — two cats and two English Bulldogs. All of whom are bound to make many appearances on my blog and YouTube channel. A handful of my recent cake and cookie creations. My arts and crafts obsession started early. My father is a welder and mechanic by trade, but to this day he uses his torches and welding machine to craft art pieces out of spare parts for his yard. My mother picked up so many hobbies when I was a child that I couldn’t even attempt to name them all, yet she never stuck with them. She’d buy all the necessary supplies to start a new craft, but for whatever reason, nothing ever suited her. In elementary school, I began to amass an impressive collection of hand-me-down craft supplies, and the rest is history. The first craft I ever tried and became hooked on (at the tender age of say, 10?) was plastic canvas. I loved that I could make colorful, three-dimensional objects, and I’m sure my grandparents never ever got tired of receiving tissue box covers as gifts. Never. But alas, I grew out of the craft within a couple of years. The designs always seemed a little childish and hokey. I had officially graduated to cross-stitch! Over the course of the next twenty years, I’d try any craft that piqued my interest if I could afford the supplies. Those have included photography/photo editing, painting (oil, acrylic and watercolor), drawing/sketching, wood burning, candle making, t-shirt design, sewing, costuming, cooking, sugar sculpting, card making, graphic design, beadwork, knitting/crochet… and I’m sure I’m forgetting some things. Most of these things are still a part of daily life for me, and there’s always a new project floating around in my imagination, just waiting to come to fruition. Another creative adventure I’d always wanted to explore was video and editing. I’d secretly been eyeing a Canon 80D. I shoot photography with a Canon 7D, and I knew if I stuck with the Canon line I’d be able to share lenses between them. Well, lo and behold, my husband was also secretly eyeing the same camera for me! As soon as I found out, we made the purchase, and that ladies and gentlemen is how I ended up here today. Within a week of receiving my camera and lighting package, I was creating a new YouTube channel and taking my first video live. I intend this blog to be just that… a blog about my creative adventures. I expect it will be a companion to my YouTube videos and tutorials, allowing me to go into more in depth information about things I’ve learned along the way, links to supplies and more information, and progress shots of projects that aren’t quite ready to go up on the channel. I hope everyone enjoys their stay here. If you have any questions about me, the blog, the channel or my projects (or hell, the meaning of life, I suppose), let me know in the comments. This road may be well-traveled by those who have come before me, but for me… it’s a brand new creative adventure. Can You show me how to make dish washing soap also laundry soap n powder.